The recent outbreak of Ebola in Western Africa has brought the Centers for Disease Control (CDC) into the news in a big way. Unfortunately, while the CDC in Atlanta, Georgia is a beehive of activity and research every day, we only hear about them when there is some sort of human health crisis. We are truly fortunate to have the CDC and World Health Organization (WHO) to monitor health risks all year round. They predict what will hit (like the flu) and when it will hit and how best to mount a response to the risk. I am relatively sure the folks at the CDC would welcome a quiet spell but I don’t see it happening anytime soon. Click here to learn the CDC guidelines for Ebola and pets. How does the CDC support healthy people and pets? Not only does the CDC address human diseases they also address animal diseases that are of zoonotic significance. In recent years, thousands of people have become sick because of contact with animals. 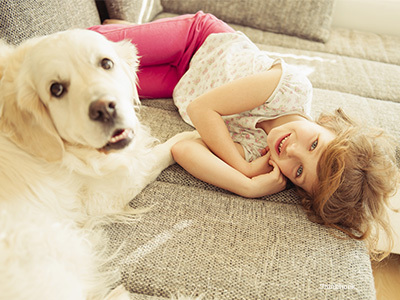 Although the spread of diseases from animals to people is rare, pets do sometimes carry germs that can make people sick. The diseases people get from animals are known as zoonotic (zoe-oh-NOT-ic) diseases. Zoonotic diseases are a primary focus for the CDC for good reason. Nearly 75% of emerging diseases come from an animal origin1. Tick–borne diseases, including Lyme disease and Rocky Mountain spotted fever, are serious public health problems, infecting tens of thousands in the United States each year. The CDC is working closely with local communities, developing innovative control approaches and researching improved diagnostics every day. Unfortunately, veterinarians and our pet patients don’t have a CDC or its equivalent. However organizations such as The American Heartworm Society, Companion Animal Parasite Council and many veterinary colleges do an amazing job of keeping veterinarians and pet owners informed. How does the CDC educate people about pet wellness? The CDC educates people on the intrinsic value of pets in human wellbeing as well as how to maintain healthy pets. According to the CDC, “The pets sharing our world provide love, comfort, and companionship. Pets are not only fun to play with but also important to our lives. Studies have shown that the bond between people and their pets can increase fitness, lower stress, and bring happiness to their owners.” These aren't the only ways pets can improve health in people, says the CDC. In short, the leading authority on human wellness in the US supports pet ownership as a means to improve human health. Not surprisingly the CDC is also involved in recommendations for pet health including regular veterinary care. Click here to learn the power of a checkup. 1. "Zoonotic Disease: When Humans and Animals Intersect." Centers for Diesease Control and Prevention. March 2014.